We want everyone to be impressed when they arrive at a DynaServ managed HOA and POA. From a landscaping perspective, we want the residents to be proud of where they live as they drive through their communities. Whether it be our community with 300 or 3100 homes, we take the same pride and ownership regardless of the size. 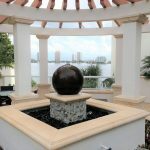 At DynaServ we work for several Property Management firms throughout Florida to maintain and enhance their Client sites. We are constantly engaged with the Property Managers, and at times the Boards or the landscape committees assessing, reviewing and implementing improvements.